After applying makeup, shake bottle well, hold 8"–10" away and mist face 2–4 times, in an “X” and “T” formation. Close eyes before misting. Splashed out & bought, initially remember being v impressed. Got used to it & thought meh maybe not. THEN I ran out.... whoa! What a difference it makes. Make up stays really well through an active job, and brill on nights out. I sort of layer the spray as I’m going through my make up application stages when doing a full coverage and it works great. Not tried cheaper brands so can’t comment on its comparison. But god it’s good! I was very skeptic about this product, because I have very oily skin and nothing helps me to hold make up on my face. But.....This product works!!! Make up stays all day and don't smudge. Really love this. Worth the money. 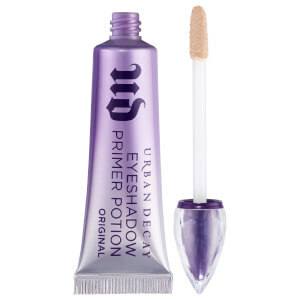 Great for setting on cheeks but doesn’t help much on nose, make up wears off within 6/7 hours. Don’t like the smell of the spray either. Expected more for the price. After watching a few of my favourite bloggers recommend it, was a bit sceptical on its effects so decided to give it a try. Definitely worth the money and more! I do not leave the house on a Friday or Saturday night without spraying this on my face. Light spray, great texture and keeps away the shineness from my face all night. Ordered this because I was looking for a settings spray that keeps your makeup on and this is the one that people was telling me about. It only works when I wear fenty foundation. Doesn’t work with any of my mac foundations!! But I put a little bit of my fenty foundation on and draw my eyebrow on going to the gym then spray this on my face! And after the gym it look like I’ve just applied regardless of all the sweating! Just wished it worked for all foundations. This is a repurchase for me, I finished my last bottle and didn’t buy it again as I had the travel spray and the MUF setting spray as well as MAC’s fix+ but I just had to have the full sized version of this too. It helps your makeup last longer and I like the fragrance it has too. Would recommend!